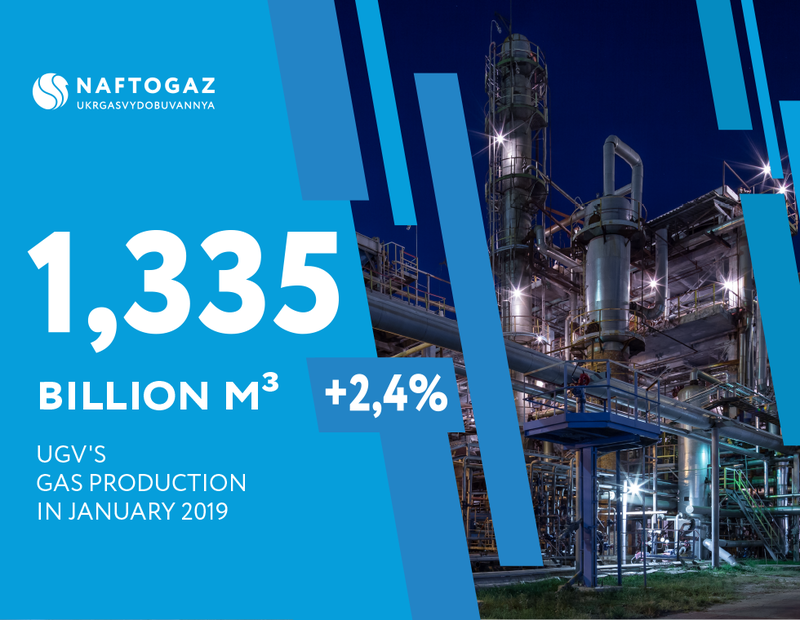 In accordance with the current data, Ukrgasvydobuvannya’s production volume in January 2019 reached 1.335 billion cubic meters of natural gas, which is 2.4 % more compared to the same period of 2018, namely by 32 million cubic meters. At the beginning of January 2019, there were slight fluctuations in average production per day in range of 1.7 % compared to the average production per day in December 2018, due to the technological processes of gas production, treatment and transportation in the pre-period of the spring-summer phase of limited direct gas consumption through own networks by domestic consumers. Since the beginning of the year, UGV has actively stimulated production, increased drilling meterage and continued to perform geological exploration works on the existing deposits. But an increase in gas production in Ukraine cannot be achieved only on the existing deposits that are at the final stage of exploration. In this regard, UGV plans to take an active part in auctions by means of electronic bidding, held by the State Service of Geology and Subsoil of Ukraine, for the new sites. It is worth noting that UGV has already obtained a special permit for the use of subsoil of the Lypovetsky field at the auction held on October 25, 2018.